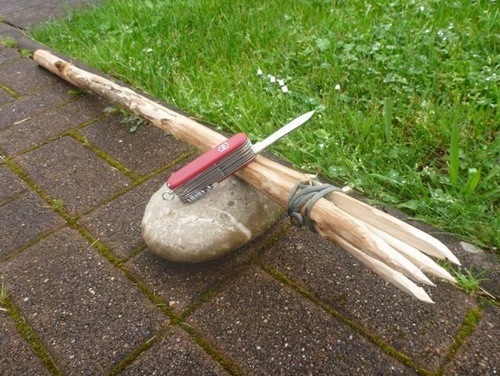 Knowing how to make a fishing spear is probably one of the best survival techniques you can master. Commonly used to spear fish and small game, crafting a fishing spear out of a large branch is an extremely practical survival tactic. All you are going to need for this task is a decent knife, some string or paracord and a sturdy tree branch. This would be an excellent outdoor project to give to a Boy Scout troop or perhaps for you to do while enjoying your next camping trip. Take your time selecting the right branches as these are critical to the success of your spear.